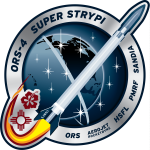 The University of Hawaiʻi (UH) partnered with the U.S. Air Force’s Operationally Responsive Space Office (ORS) to conduct the first live webcast of the experimental Super Strypi rocket mission. The live feed was provided by ITS and picked up by Space Flight Now. It was broadcasted worldwide with over 4,000 viewers watching the countdown and liftoff from the Navy’s Pacific Missile Range Facility in Kauai, Hawaiʻi.